Ribbon Cutting Ceremonies for 12 Green House Homes at John Knox Village in Florida – A Special Celebration! The Woodlands is a total of 7 floors…the main floor has a common area and the remaining six floors each have two Green House homes with 12 private bedrooms and bathrooms surrounding a hearth area, open kitchen and dining area. Four of the homes will be dedicated to short term rehabilitation. Senior Director of The Green House Project, Susan Ryan, was asked to spend additional time on campus to meet with medical professionals and Elders to share her insight into the Green House model. She met with physicians involved with care at John Knox Village, specifically those with Elders who will be receiving rehabilitation services in the homes. She also met with Sages that will be working in the homes. Sages act as an advisor and facilitator for the Shahbazim, the self-managed work team. In addition to Susan, Green House Project Guide, Debbie Wiegand met with the group to answer questions and share their appreciation for the work they will do in the homes. A Sage is a volunteer and someone that has demonstrated wisdom and good communication skills. We are grateful for the work they will perform and wish them much success in the days and months ahead! The Woodlands at John Knox Village was designed by RDG Planning & Design (Architects John Birge, Scott Pfeifer and Kevin Ruff). The Weitz Company served as the construction manager, and William Gallo, of Gallo Herbert Architects, worked with John Knox Village as the Owner’s Authorization Representative. Click here to read more about The Woodlands. The Green House Project’s founder and Director of Innovation, Dr. Bill Thomas, has been honored as one of the 50 remarkable people on Next Avenue’s first annual “Influencers in Aging” list. “We need elders more than ever, because of their unique ability to enrich us. They are the human equivalent to super glue,” said Dr. Thomas. The list, which was published on October 28, 2015, includes thought leaders, executives, writers, artists, researchers, experts and everyday people who are changing how we age and think about aging in America. The 2015 Influencers in Aging list also honors surgeon and author Dr. Atul Gawande as “Influencer of the Year”. A Harvard Medical School professor and staff writer for The New Yorker, Dr. Gawande is the author of the bestselling “Being Mortal: Medicine and What Matters in the End.” Dr. Gawande’s book features The Green House Project as an example of successfully meeting the needs of the whole person rather than simply their diagnosis. Learn about all 50 Influencers in Aging. In his Age of Disruption Tour, Dr. Bill Thomas promises a wide ranging discussion about society’s perspective on aging and what he calls, “life’s most dangerous game.” Nearly 300 people turned out to beautiful Nelson Hall at Elim Park Baptist Home in Cheshire, Connecticut to hear Dr. Thomas, joined by musician Nate Richardson. As people entered, they were greeted by the sound of drumming and a blackboard with where people completed the phrase “as I age I dare to….” Everyone was encouraged inscribe their “dare” on their own personal shaker, and to contribute their own rhythm to the drumming. Combining music, story-telling and multi-media, the performance seeks to debunk our pre-occupation and romance with the perfection of youth. As Dr. Thomas, demonstrates with a teenage picture of himself, braces and all, the reality is often not quite as rosy as the ideal. The romantic notion of youth is perpetuated with an anti-aging fantasy, which can be seen in the myriad products and services that claim to reverse the effects of aging. Dr. Thomas proposes an alternative. Age takes things away, but it also offers new gifts. While today’s society emphasizes the losses, we can choose to see aging rather as the transcendence of youth. As we age what we’re good at changes, and we move beyond the cares and priorities that consumed us when we were younger. The key for a successful older life is to be able to discover “re-imagination”. Youth is about imagination and possibilities. Then people surrender their many dreams, and narrow their focus. They trade possibility for competence. As they become defined by their competence, they are afraid to try new things because, they’re afraid of looking foolish. In order to age well, we must let go of this fear, and regain some of those dreams, or find new ones. Re-imagination is about creating opportunities to learn and grow. It’s about giving up competence for possibility. Take risks, because you never know what you might find. And taking these risks is life’s most dangerous game. In an exclusive interview with Provider, Dr. Thomas casts the vision of living in a world where the ageist slur, “elderly” is no longer a part of polite conversation. He says, “Think back in memory to the last time an older person referred to themselves as ‘elderly.’ People don’t introduce themselves by saying, ‘Hi, I’m Bob’s elderly mother.’ That’s put onto them. That’s the definition of a slur.” Dr. Bill Thomas believes that to change long term care, we need to change the larger societal attitudes toward getting old. In pursuit of this reality, Dr. Thomas is hitting the road for the Age of Disruption Tour, “I’m going on tour again, starting in April,” [Dr. Bill Thomas] tells Provider. “I feel a responsibility to have an impact on not just long term care, but how our country views aging and how our country thinks about older people. I think that many of the issues we deal with in long term care are driven by deep, cultural misunderstandings about aging.” Part of the tour will be an old-fashioned rap session, with Thomas sitting down with leaders, that “explores new ideas, practices, and models to transform the experience of care and caregiving,” the tour’s ad copy says. In The Green House model, relationships are the cornerstone of success. The deep knowing relationships between elders and the direct care staff facilitates a familiarity that leads to positive outcomes, including increased workflow, cost savings, and health outcomes. Dr. Thomas has truly made an impact on the field of aging, as the reporter says, “he is a founding father of a revolution. (How many other Birkenstock-wearing gerontologists are getting shout-outs from the Senate floor? )” As he embarks on this latest adventure, there will be new ideas shared, fires stoked, and people moved to action… bringing us ever closer to the ideal of meaningful lives for all. As Elders living in Green House homes age in place it is important that we resist the urge to revert back to institutional practices to solve the obstacles that may be associated with their changing care needs. During a Peer Network webinar last month, adopters had the opportunity to hear Dr. Bill Thomas discuss the topic of increasing acuity of Elders in Green House homes and his recommendations for sustaining the Green House core value of real home. Participants on the call were asked to think about Florence Nightingale and the new approach and standard of practice that she brought to the existing institutions of her time. Dr. Thomas believes that we are descendants of her philosophy of care and therefore must be prepared to care for Elders in sickness and in health. – Understand from Elders and their loved ones whether they want maximum care or maximum treatment at the end of life. It isn’t possible to provide both simultaneously. In many institutional long-term care settings a person is placed in the “sick role” and then kept there for the remainder of their life. Green House homes are unique in that they are a place of recovery, rejuvenation and a dedication to the belief that all people have the right to live with dignity, autonomy and purpose until their last breath. Dust off your cowboy boots, brush up on your Elvis impersonation and save room for some of the country’s best BBQ! The 7th Annual Green House Meeting and Celebration for Green House adopters is going to be in Memphis, Tennessee on November 17-19. 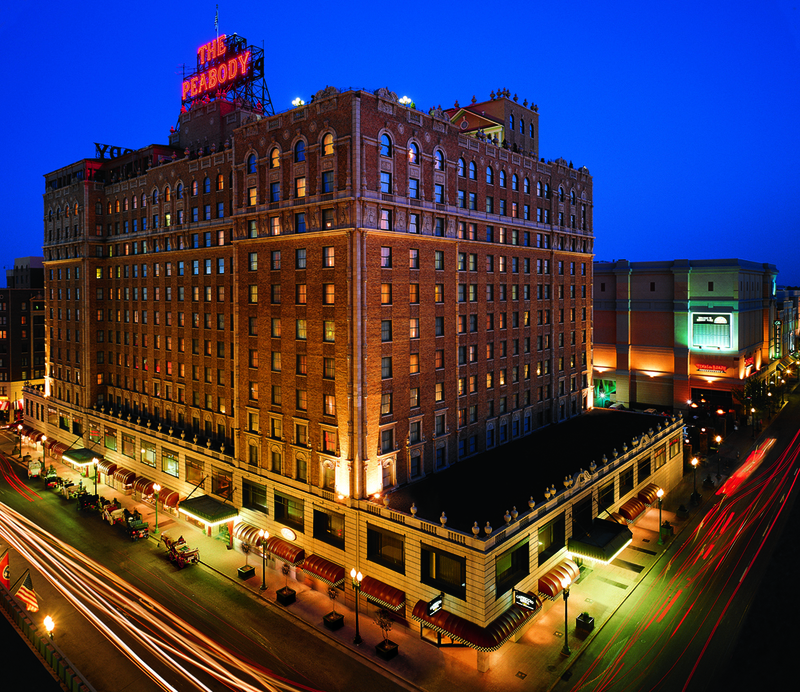 This year’s conference will take place at the historic and incredibly beautiful Peabody Memphis hotel. The Peabody Memphis is located near Beale Street, a melting pot of delta blues, jazz, rock ‘n’ roll, R &B and gospel. That’s where music legends like Louis Armstrong, Memphis Minnie, Muddy Waters, and B.B. King made their mark. It’s no surprise that Memphis is known as Blues City. Our site visit this year will be to Ave Maria in Bartlett, TN where there are four Green House homes- St. Francis, St. Anne, St. Joseph and St. Mary. These homes replaced an aging nursing home wing (circa 1956) and have allowed Elders to thrive in real homes that offer meaningful life and empowered care partners. This year’s theme, Leading with Heart and Soul, will flourish amid this magnificent mecca where musical legends combined soul with talent and passion to become the pioneers for American musical genres. The Green House Annual Meeting & Celebration is an excellent opportunity to connect with fellow Green House pioneers, to learn, grow, and leave inspired to lead well, as we continue to champion change that meaningfully impacts the lives of Elders. Dr. Bill Thomas’ Second Wind Tour kicks off in three weeks. As a sponsor, THE GREEN HOUSE® Project is busy getting ready to revolutionize the national conversation around nursing homes, by bringing attention to our person-centered model with an emphasis on each person living a meaningful life. We are taking this message on the road and hitting 25 cities along the way! Inspired by Thomas’ new book examining the baby boom generation’s reluctant generational second coming of age—“Second Wind: Navigating the Passage to a Slower, Deeper and More Connected Life” (published by Simon and Schuster March 11 and named by Publisher’s Weekly as a Top 10 Social Science book of 2014)—the Second Wind Tour will visit 25 cities on a national bus tour from March 31-June 6, 2014. Each half-day performance will be held in a premier theater with two acts. Act one will consist of five fast-paced theatrical monologues featuring a cast of speakers including Dr. Thomas, Susan Frazier or David Farrell of THE GREEN HOUSE® Project, and renowned consumer health expert and TV personality Dr. Janet Taylor. The second act blends the illumination of the deep connections between music, identity, and memory in the form a “marvelous surprise” documentary film preview by director Michael Rossato-Bennett followed by a live musical performance by Musicians for World Harmony founder Samite Mulondo. If you are interested in attending one of these performances, please visit the Second Wind Tour Website, http://secondwindtour.org/. If you are not near a tour stop or unable to attend, we still want you to be involved! Join the social media conversation by following The Green House Project, @GreenHouse_Proj, and the Second Wind Tour by using the hashtag #secondwindtour. We are so grateful for the opportunity to spread the Green House vision across America! At the Table: Dining and Nutrition in The Green House Model (2 mins 33 secs) from The Green House Project on Vimeo. According to a recent article in McKnight’s Long Term Care News, “’Undernutrition’ is the most common dietary problem related to dementia… This refers to insufficient intake of calories, protein or other nutrients. It affects up to 30% of residents in long-term care facilities…” The article goes on to talk about how improving the environment and increasing staff education can help to improve elder nutrition. Through intentional design and deep education, Green House homes have seen positive outcomes and stories that demonstrate the value of focusing on food and mealtime. Dr. Bill Thomas, founder of The Green House model, has always seen food as central to how we connect as human beings. As our physical needs increase to a skilled nursing level—this deep human factor does not change. In this short video below, Dr. Thomas shares his vision for “convivium”. By creating an environment of deep knowing where we honor an elder’s preferences and natural rhythms, issues like “undernutrition” will dissipate. Convivium from The Green House Project on Vimeo. Congratulations are in order for The Eden Alternative Chief Executive Officer, Chris Perna. Provider Magazine has selected Chris as one of “20 to Watch” – the rising stars in long term and post-acute care. As many of you know The Ten Principles of The Eden Alternative are the foundation of THE GREEN HOUSE® Project, created by Dr. Bill Thomas and his wife, Judith Meyers-Thomas. For the past three years, Chris has led the charge behind the new initiatives for the organization. He has a rich background in the industry, and talks about how The Eden Alternative and The Green House model influfenced decisions he made prior to becoming the CEO. Some of Meaghan’s warmest childhood memories involve time spent visiting both sets of her grandparents in her hometown of Buffalo, New York. It is truly where her journey in aging services begins. She thoroughly enjoyed the time she shared with them and the events they attended together. In fact, today when Meaghan walks in to an art gallery…she immediately thinks of her grandmother, a teacher, who often took her and her siblings to experience art and other cultural events. Needless to say Meaghan was most comfortable with Elders and chose to do her high school volunteer work at a nursing home. It was a very traditional skilled nursing home, and she saw a number of Elders that were not engaged, many were lonely and bored. She knew they deserved a better environment. . It was in Ithaca, New York, as an undergrad at Cornell University, where Meaghan first heard Dr. Bill Thomas talk about THE GREEN HOUSE® Project, and as they say the “rest is history”. Meaghan loved the concept and knew she could see herself working to achieve that mission. After graduating from Cornell, Meaghan entered the Geriatric Scholar program at the University of Michigan, School of Social Work and studied aging in families and society with a focus on public policy and evaluation. While there she interned with The Village of Redford Green House homes in Michigan and Generations United in Washington DC. Upon receiving her MSW, Meaghan worked for a year as a Policy Analyst for the National PACE Association in Alexandria, VA.
Meaghan is now sharing her skills and knowledge about Elders and culture change in THE GREEN HOUSE ® Project as a Peer Network Project Manager. In addition to assisting Peer Network members on the website, providing critical resources and assisting with ongoing education and evaluation efforts, Meaghan is the Co-Chair of the newly formed Peer Network Government Relations Committee. In her leisure time, Meaghan thoroughly enjoys travelling, cooking and baking and spending time with the newest addition to her family- a terrier/basenji mix pup named Lyla. First Green House homes open in Florida! It’s hard to believe half the country now has a Green House home in their state! In late October Florida became the 25th state when The Green House Residences opened in Jacksonville. The homes are part of Brooks Rehabilitation and their Bartram Lakes development. The opening of the two 12-Elder assisted living homes was kicked off with a “Celebrate Aging” event. The founder of THE GREEN HOUSE® Project, Dr. Bill Thomas was the keynote speaker. He is pictured below with Shahbaz Tracey Crawford. Click here to learn more about the homes and the celebration in a story from The Florida Times Union. Then tell us what you think! It is hard to believe that it has only been 10 years since the first Green House homes opened in Tupelo, MS. It all began when Green House founder, Dr. Bill Thomas, had a radical idea that people should age in real homes, rather than institutions. The Robert Wood Johnson Foundation agreed, and this model has served as a catalyst for significant social change. To date, 1579 elders, veterans and people with disabilities live as full and meaningful lives in Green House homes, and gaining momentum to bring this model to a community near you. Be sure to watch the below video to see the impact that this model made on long term care, and what the future holds. Visit the Support the Movement Page on our website to learn how you can bring America home.